This property was included into the Wetlands and Riparian Restoration Project in 1995. Initial 3276 acres were acquired in 1995. 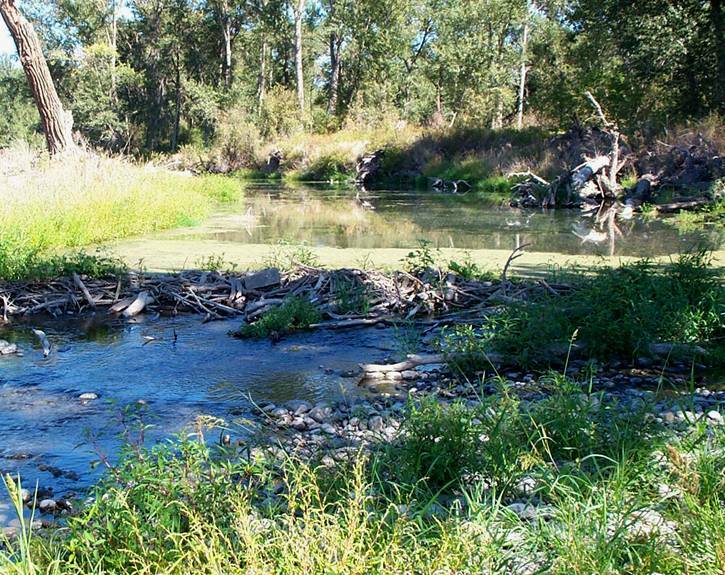 The property is located along the Yakima River 11 miles southeast of Toppenish. The property encompasses 3,276 acres of upland and floodplain habitats. Approximately 1,850 acres are upland shrub-steppe and grassland habitats, and the remaining acres are riparian, wetland or irrigated pasture habitats. The property ranges from 600 to 650 ft in elevation., bordering the Yakima River for about 8 miles of meandering shoreline. It contains one of the few remaining river sections with mature riparian forest. 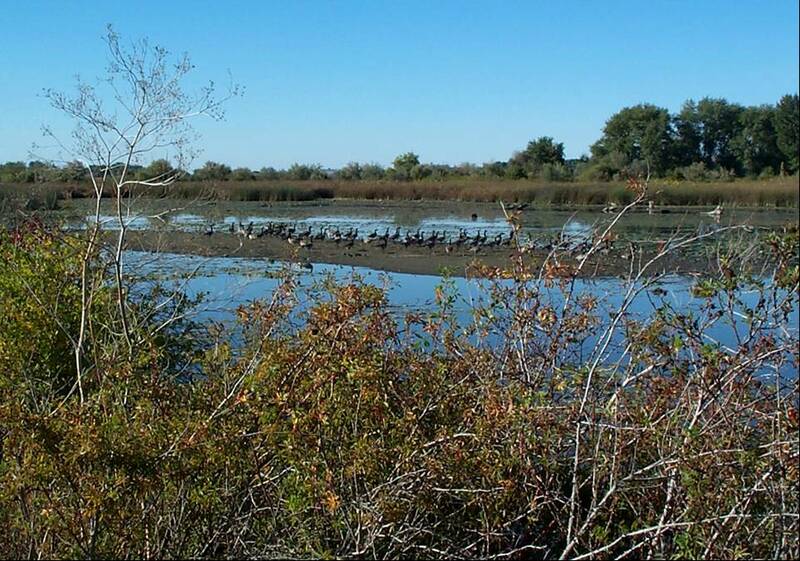 Natural resources values in the Satus Wildlife Area include nesting, feeding and wintering habitat for numerous wildlife, including breeding and migratory species of ducks, upland gamebirds, songbirds, herons, eagles, osprey, otter, beaver and deer. The vegetation communities comprising this habitat include moist meadow, riparian woodland, and floodplain loamy and alkaline shrub-steppe. Many of these vegetation communities have been highly disturbed due to intensive agricultural use, including leveling, installation of irrigation ditches, and grazing and are severely altered from their natural state. What are the management goals for the Satus Wildlife Area? 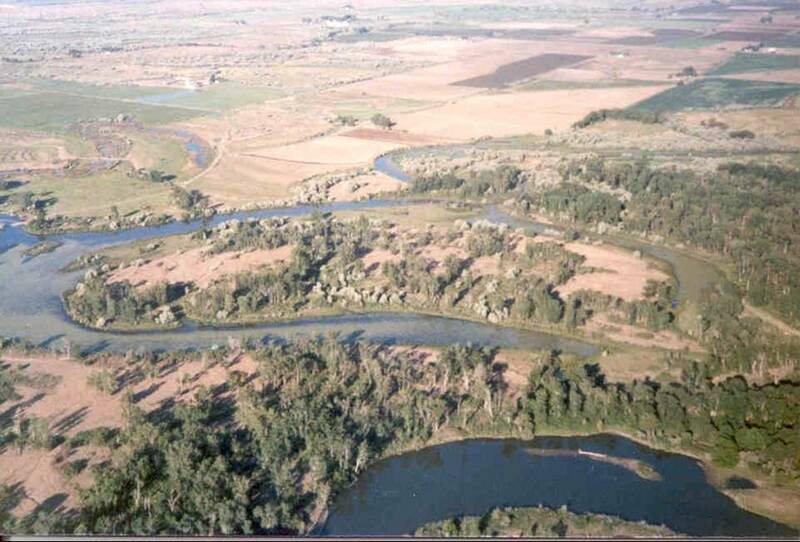 Re-establishment of the Yakima River side channels on the property in such a manner that natural flows are allowed to return through the property. Restoration of the floodplain landscape to conditions assumed to be present at the time before agricultural development. This includes 1) reestablishing natural land contours and hydrologic conditions necessary for wetland, riparian and upland restoration, 2) the control of invasive plant species, and 3) restoration of native vegetation communities associated with the floodplain and landscape. Managment of lands to provide benefits to wetland and riparian areas associated with wildlife. This includes the re-establishment of habitats that provide benefits to the reproduction of anadromous fish such as, the restoration of riparian tree and shrub communities to shade the creek and to provide woody debris for juvenile hiding cover. Also the management of water flow in wetlands to allow passage of adult and juvenile salmonids. Special emphasis is given to spawning coho salmon in the side channels and spawning fall chinook salmon in the main river channel. Manage livestock grazing on irrigated pastures to reduce wetland habitat degradation while controlling weed species. 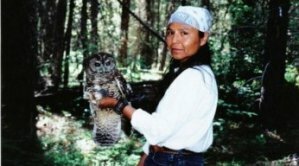 Protect important archeological sites, along with restoring culturally important vegetation for traditional use by the Yakama People. This includes a variety of riparian shrubs such as elder and currant, and great basin wild rye. What restoration activities are taking place on the Satus Wildlife Area? Side channel reconnection: Side channel flow has been allowed to occur as the Yakima River levels dictate. Beaver dam construction is now prevalent in the channels, slowing the flows and allowing them to enter the hyporheic zone. In 1997, a small wetland area was constructed on an area previously converted to agriculture. Landscape restoration: In addition to the side channel reconnection, areas leveled for agricultural development have been restored to historic landscape conditions. These included channel, wetland, and upland area recreations subject to current landscape constraints. Native vegetation restoration: Actions for the restoration of native vegetation include hydrologic restoration (described above), weed management, and native plant revegetation. Weed management includes ongoing control of noxious weeds throughout the Satus Wildlife Area, and intensive treatment of weeds at upland sites selected for native plant revegetation. (Figure 3 illustrates Russian olive control activities.) Weed control activities are crucial in restoration, and are discussed in the Operation and Maintenance portion of the management plan. Because the Yakima River corridor is a source of native wetland and riparian propagules, natural regeneration is occurring in wetland and riparian areas. However, upland areas that were converted to agriculture require more intensive revegetation measures. Following weed control activities, upland areas will be replanted with native grass species such as Basin wild rye (Elymus cinereus), Indian rice grass (Oryzopsis hymenoides), bluebunch wheatgrass (Pseudoregneria spicata) and Sandberg�s blue grass (Poa secunda). 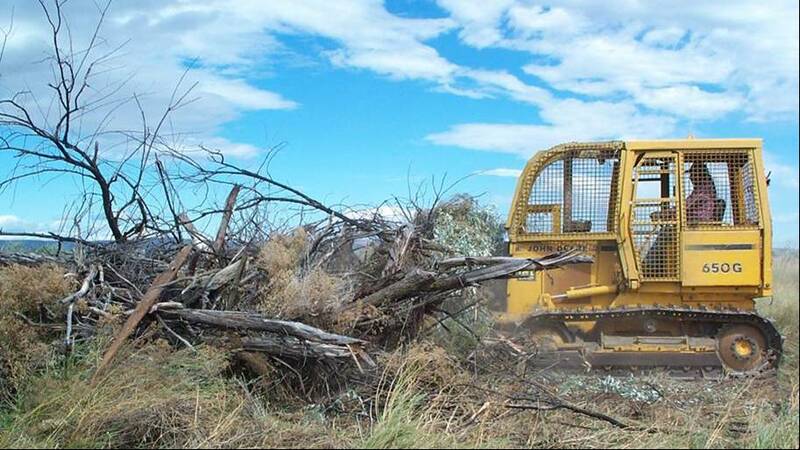 Russian olive removal in Satus Wildlife Area. Wildlife management: The actions described above also benefit the wildlife resources of the property. In addition the benefits derived from hydrologic and habitat restoration, conditions favorable to wildlife, will be maintained through strict control of human access into the property. 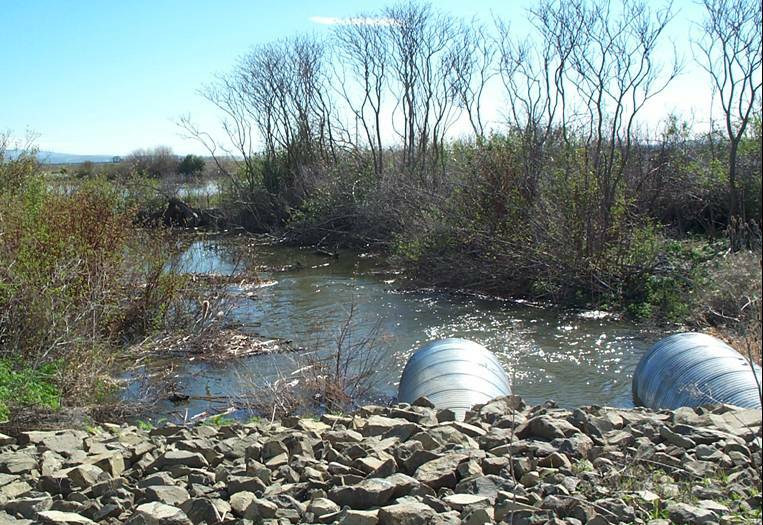 Because a major portion of the Yakama Nation�s Wetland and Riparian Restoration Project is devoted to the restoration of native plant and hydrologic conditions (habitat), artificial nesting structures will only be used under very special circumstances. There are currently no plans to utilize them in any matter on this property. Anadromous fish management: Restoration of native hydrologic conditions provides for safe passage by adult and juvenile salmonids. Protection of the coho and fall chinook spawning areas is a priority. Protection of the coho juvenile summer rearing habitat is also a priority. Grazing management: Restrict grazing from April 15 to October 15 each year, depending on the open range portion. Stocking rate will be reduced from the current 800-1000 head to no more than 300 cow/calf pairs, depending on range condition and forage availability. Cattle will be permanently excluded from sites of critical importance to cultural, wildlife and fish resources. Currently, grazing management plans are being written for the Satus Wildlife Area and other properties. 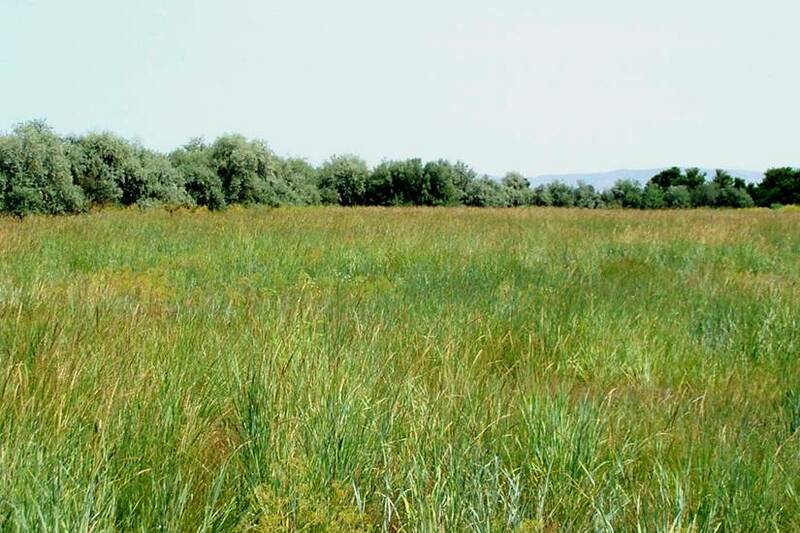 Cultural resource restoration: Natural revegetation has allowed for a large increase in riparian and wetland plants important to the Yakama People. Once again, this is due to the efforts of restoring the native hydrologic and landscape components of the property. Native grass stands, nearly non-existent when the property was farmed, are now common enough to provide harvest opportunities each year to tribal members. The riparian areas provide opportunities for the harvest of currant, willow, dogwood and wild rose. Access for resource utilization: Wildlife resource use by enrolled Yakamas is occurring in the form of deer harvest. 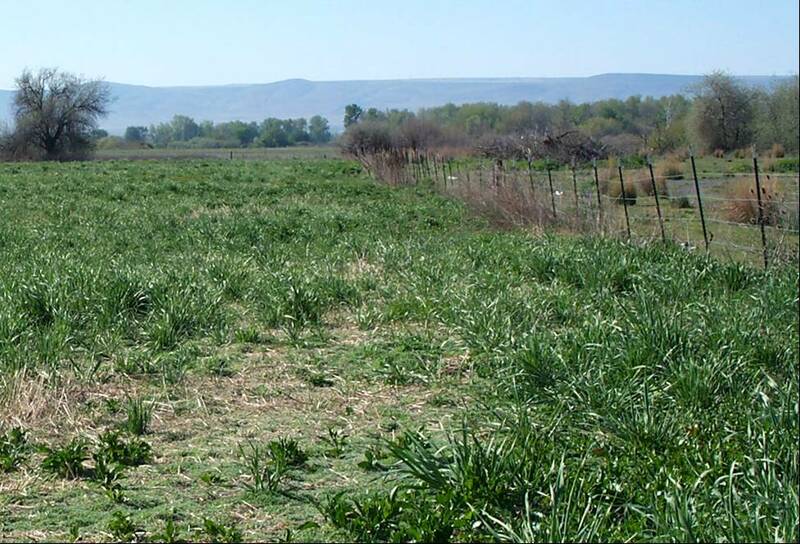 This property is also popular by the non-Yakama public hunters for upland game birds and waterfowl. Fences and gates have been installed on the property to restrict the accessibility of the property. Parking areas near the perimeter of the property provide access for public hunting.